The UN Palestinian refugee agency announced on Tuesday that it will start integrating mental healthcare services and socio-psychological support into the health services it currently presents to beneficiaries at two of its centers in Jordan, with financial support from the Japanese government and technical training by the German International Cooperation Agency (GIZ). The move seeks to enhance mental and psychological healthcare presented to the Palestinian refugees with the aim of empowering individuals and communities. On Wednesday, President Trump touched off another racially charged furor on Wednesday by sharing videos from a fringe British ultra-nationalist group purportedly showing Muslims committing acts of violence, a move that was swiftly condemned by Britain’s prime minister as well as politicians across the spectrum. The videos Mr. Trump retweeted were titled: “Muslim migrant beats up Dutch boy on crutches!” “Muslim Destroys a Statue of Virgin Mary!” and “Islamist mob pushes teenage boy off roof and beats him to death!” But the assailant in one of them was not a “Muslim migrant” and the other two showed four-year-old events with no explanation. No modern American president has promoted inflammatory content of this sort from an extremist organization. Although Israel agreed to send a new envoy to its embassy in Jordan, the kingdom will not allow Israel to reopen its embassy in Amman until it has launched legal proceedings against an Israeli security guard who shot dead two Jordanian citizens in July, a Jordanian diplomatic source said on Thursday. Israel must also be able to assure its Arab neighbor that “justice has been served” in the case, the senior source said. The embassy was closed shortly after Israel hastily repatriated the guard under diplomatic immunity to prevent Jordanian authorities from interrogating him and taking any legal action against him. “They [Israel] can look for a new ambassador but that ambassador will not be welcome in Jordan until a due legal process takes its course and justice is served,” the diplomatic source said. Qatar is building a dairy industry in the desert to offset the effects of an economic and diplomatic boycott. Saudi Arabia, the United Arab Emirates, Bahrain and Egypt cut trade and transport ties with Qatar in June, accusing it of backing terrorism, a charge which Doha denies. The boycott has shut Qatar’s land border with Saudi Arabia, across which many perishable goods were imported, including almost 400 tons of fresh milk and yogurt a day. The boycott has forced Qatar to fly in dairy products from Turkey and Iran. 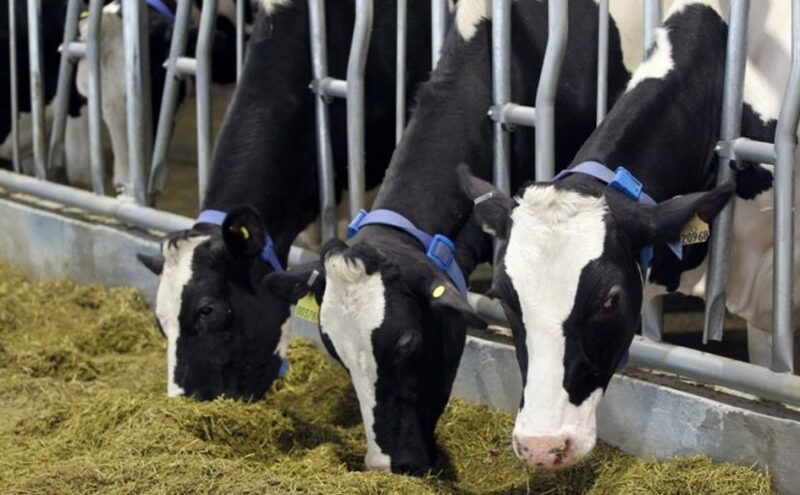 In the Qatari desert, a herd of Holstein cattle are cooled by fans and jets of mist, among the first members of a 14,000-strong herd that farming company Baladna is expecting to build up in coming months, its chief executive John Dore said. The company is receiving logistical and other support from the government. “We will make Qatar self-sufficient by June – that is the target,” Dore said. On Friday, Human Rights Watch published a report on the environmental and health impacts of government mismanagement in Lebanon. People and municipalities have resorted to burning garbage as a result of the government’s inability to address waste management in the country. The practice of burning garbage, which has been declared illegal, has had deleterious effects on the health of nearby residents. People living near places where trash was burned reported chronic obstructive pulmonary disease, coughing, throat irritation, skin conditions and asthma – all consistent with frequently breathing smoke from burning waste. “The open burning of waste violates Lebanon’s environmental protection laws, which prohibit the emission of pollutants into the air, including harmful or disturbing smells,” HRW said.